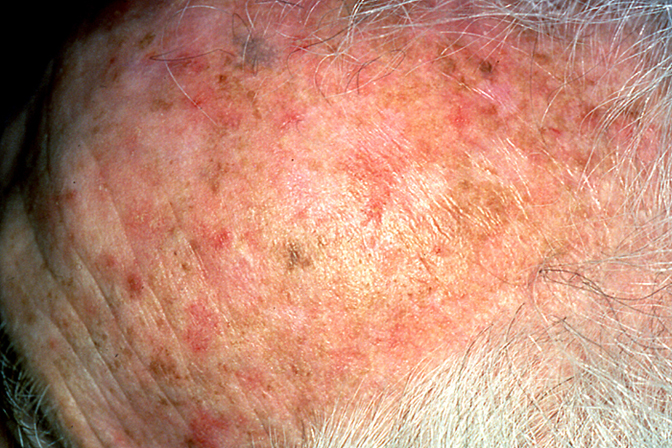 The Blu-U Treatment is a convenient and effective way to treat pre-cancerous AKs (actinic keratosis). It is less invasive than previous treatments and with much less down time. Aks are rough-textured, dry, scaly patches on the skin that are caused by excessive exposure to ultraviolet light (UV) such as sunlight. More then 10 million Americans have AKs and they are the first step in the development of skin cancers. Some AKs have the potential to progress to Squamos Cell Carinoma (SCC) within an average of 2 years. Since there is no way to know a head of time which AKs could develop into SCC, it is important to be under a dermatologist care to help with prevention. Blu-U is type of photodynamic therapy. The Levulan Kerastick Topical Solution is applied to the AK and the solution is then absorbed by the AK cells where it is converted to a chemical that makes the cells extremely sensitive to light. When the AK cells are exposed to the Blu-U, blue light illuminator, a reactions occurs which destroys the AK cells and their potential to form into skin cancer. Call 1-877-816-derm (3376) or click here for a skin check with our Board Certified Dermatologist, Dr. Paul Stevenson.